Ep. 171 God & Movies with Ted Giese To listen now click the green triangle below in this post. Apologies for occasional audio glitches that resulted from the Skype feed. Apologies also for not having time to bleep two mild profanities. 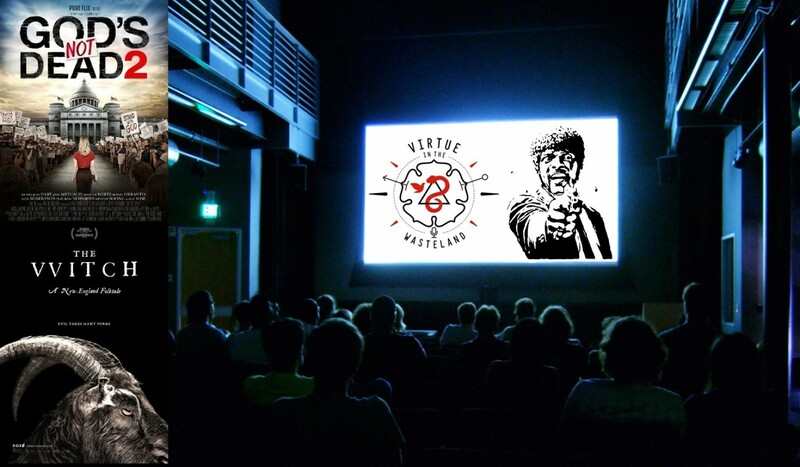 If you haven't listened to Virtue in the Wasteland, We encourage you to take some time and listen to a couple episodes it well worth your time. 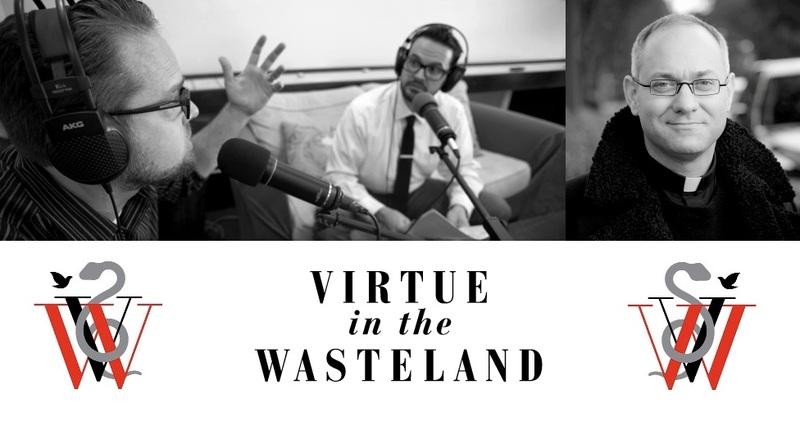 Virtue in the Wasteland is a podcast + about culture, religion, and ethics. Dr. Jeff Mallinson and Dr. Daniel van Voorhis discuss ways to cultivate civic courage and navigate our complex cultural landscape, in search of truth, goodness, and beauty. In this episode Dr. Jeff Mallinson, Dr. Dan van Voorhis and Pr. Ted Giese chat about the death of doubt in films of late and what that might mean as a popular trend in culture by looking at several interesting recent releases and some older films too. We spend a good deal of time on God Is Not Dead 2 (2016). We also discuss The Witch (2015), Risen (2016), O Brother Where Art Thou? (2000), Hail Caesar (2016), Pulp Fiction (1994), and The Messenger (1999). To read reviews associated with some of the films mentioned in this podcast click on the banners provided at the bottom of this post. Also here are a couple short trailers and videos that will be helpful along the way. The first clip is from the film The Messenger. It illustrates the way in which the film maker, Luc Besson, shows Joan of Arc (Milla Jovovich) to be a person with a mental illness and not an individual being given a vision from God. Notice how the camera shows that her interrogator/accuser (Dustin Hoffman) is not actually present in the room with her making him a hallucination in her mind. This is an example of a "modernist escape hatch" provided by an atheist director who want to disprove the possibility of the supernatural to his audience. The second clip is the trailer for The Witch: A New England Folk Tale (2015) by Robert Eggers which is an example of a recent film that provides no "modernist/post-modernist escape hatch." The film is simply the story of a family harassed, endangered and brutalized by a witch in an isolated environment. In The Witch Eggers gives the audience a film brimming with tension and distressing scenes while working to keep the final product authentic to its time period. The third clip is the trailer for God's Not Dead 2 (2016) by Harold Cronk a melodramatic film in which Atheists are presented as flat stereotypes instead of well rounded characters. The Atheists in this film are not truly treated with gentleness or respect. Watch for how Ray Wise, who played Leland Palmer in David Lynch's Twin Peaks (1990-91, 2017) and who plays the atheist lawyer Peter Kane in God's Not Dead 2 chews up the scenery, literally saying how much he hates Christians and what they stand for. As of 08-10-2017 the below video does work when played, for some reason it has no preview image. This last clip below is the one Dr. Mallinson talked about showing to his students. This is from the film The Tree of Life (2010) by Terrence Malick. Rev. Ted Giese is associate pastor of Mount Olive Lutheran Church, Regina, Saskatchewan, Canada; a contributor to KFUO AM Radio, The Canadian Lutheran and Reporter; and movie reviewer for the “Issues, Etc.” radio program. Follow Pastor Giese on Twitter @RevTedGiese. Check out our Movie Review Index!